When you think of a heart attack, the image that comes to mind is likely a person clutching at their chest or feeling numbness in their left arm. Until recently, doctors expected symptoms were generally similar for men and women. But that isn’t true. A 2003 National Institutes of Health study found that just 30 percent of the 515 women surveyed had any kind of chest discomfort while they experienced a heart attack. 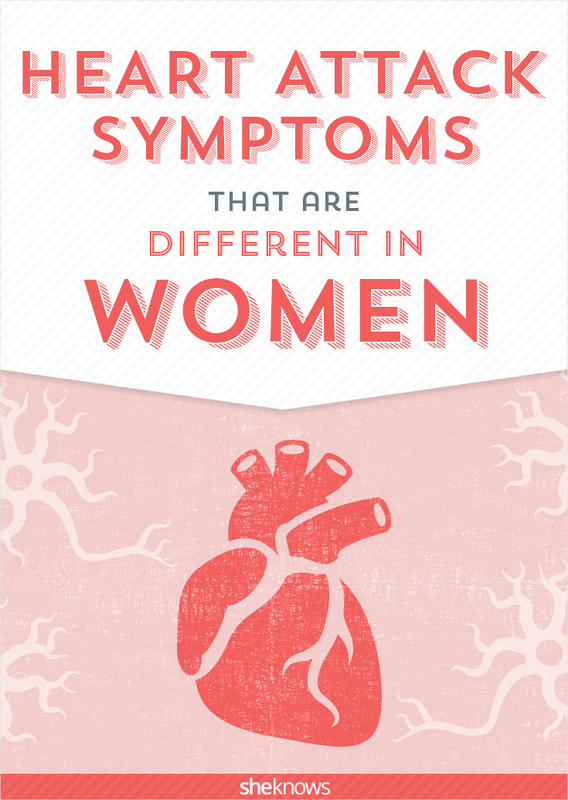 It seems that heart attack symptoms for women can be distressingly more subtle. Here are the heart attack symptoms women need to take seriously. In the NIH study, “unusual fatigue” was reported by 70 percent of the women in the sample. This tiredness can creep up days or weeks before the actual attack. If you aren’t sleeping well at night, this could be a forewarning. The NIH found that 48 percent of the women reported sleep disturbance as a symptom prior to their heart attacks. Heart failure can cause abdominal swelling, which can show up as indigestion, nausea, lack of appetite and vomiting. In the NIH study, 39 percent of women reported these symptoms. According to Women’s Heart Foundation, 71 percent of women report having flu-like symptoms leading up to more acute heart attack symptoms. Anxiety is a way of life for most Americans in today’s society. But if you notice unusual bouts of stress or feelings of “impending doom,” take a minute to breathe. Your anxiety may be trying to tell you something. Thirty-five percent of women in the NIH study reported feelings of anxiety during their heart attack.